Compaq is a leading global provider of enterprise technology and solutions. Compaq designs develops manufactures and markets hardware software solutions and services including industry-leading enterprise storage and computing solutions fault-tolerant business-critical solutions communication products and desktop and portable personal computers that are sold in more than 200 countries. Compaq AIT 100 GB tape drive delivers high capacity high reliability and high performance in a small form factor. Not bigger than a standard-sized hard disk drive the AIT 100GB drive can be mounted in a half height drive bay. This allows the AIT 100 GB drive to be installed even in high-density rack models of Compaq ProLiant and Compaq AlphaServer product lines where drive height is a concern (for internal models). 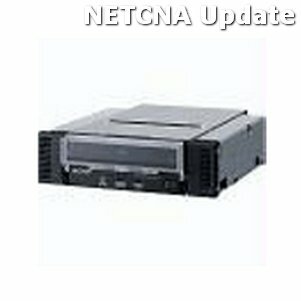 Compaq AIT 100 GB tape drives are available in internal external and hot plug configurations. Compaq AIT 100 GB tape drive delivers high capacity high reliability and high performance in a small form factor. Not bigger than a standard-sized hard disk drive the AIT 100GB drive can be mounted in a half height drive bay. This allows the AIT 100 GB drive to be installed even in high-density rack models of Compaq ProLiant and Compaq AlphaServer product lines where drive height is a concern (for internal models).